Millennium House - Home –publisher of Cartography, Geology, History, Science, Music, Mafia, Christianity, Astronomy, Natural Health, Architecture, Women Studies. 10 signs that indicate you've been to too many Frankfurt book fairs. You worry you'll be THE person sitting behind an empty table with no books for 5 days. You worry the best book dummy gets stolen on the first day. You worry that your worst book dummy won't be stolen on the first day. You start thinking after queuing for 15 mins a sausage on a dry bread roll is gourmet food. You think staying in a shoe box at 400 euro per night represe<nts good value. As you walk down the isles on day 1, you see your 2 best ideas, Never Before Seen Photos - How Princess Di Was Misunderstood, and Never Before Seen Photos- Why The Elvis Memory Is Still Alive are also on display on 4 other stands. Thank God your editions have blue covers. You think there is NO decent new title that hasn't already been published. You make sure you leave 1 hour to walk from hall 2 to hall 8. It's the morning of the last day and, you present A Guide to 1001 Cats, by describing each spread in detail. Your customer agrees its a good book, and says they will order thousands. Only to discover after they leave, that you were actually showing them A Guide to 1001 Dogs. No one noticed, so you write up the order. After a week at home while eating dinner with your family, you still look around it see if there is someone more important you should be talking to. What time is my next appointment? State Library in Sydney receives the first Australian copy, as shown on ABC TV. Mark Bagnall cartographic curator from Alexander Turnbull library discusses Earth Platinum on national radio. I'm pleased to say after over 2 years in the making Earth Platinum is now being delivered to libraries, museums and private collectors around the world. In Boston USA, Earth Platinum was recognized by the IMIA as containing the best maps in the world. Its hard to imagine a better accolade than to be voted the world’s best by your peers- the world’s cartographers. We now have an app. so the maps can be downloaded from the apple store. The first printed copy was launched at a major press conference at National Center for Documentation and Research (NCDR) in Abu Dhabi. Various media pick up the event including TV, and print media, in both Arabic and English. Earth Platinum was then acquired by the British library in London once again picked up by TV and print media. Guinness World Records attended the London launch and declared Earth Platinum the world's largest atlas. Peter Barber (Head of Maps at British Library) said "The Library's collection of maps is one of the greatest in the world, and the maps are important not only for their use as geographical aids, but also as mirrors of the cultures in which they were created. ........ Earth Platinum will offer a reflection of what people of 2012 felt was worth recording about their very different world. It will be an astonishing resource for researchers in ten, twenty or two hundred years' time." As a publisher with over 25 years in the business, I am pleased that a book I have published will still be accessible to other generations for centuries to come. For a book publisher it doesn't get any better than this. 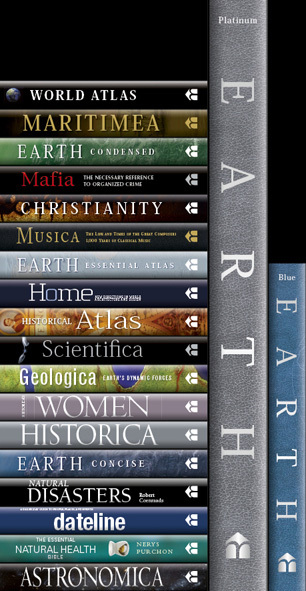 Earth Platinum is a comprehensive world atlas, featuring a world map for each of the thematic topics, Europe map, Canada map, USA map, Australia map, India map and more. I believe Earth Platinum will present the best national geographic map for every country in the world contained in a world atlas. The physical map of the world and political map of world are the largest ever published in a book. In these changing times, comprehensive maps are even more important than ever."